This title from the Japan Foundation Film Tour proved to be a startling and, I think, rewarding experience. In one respect it bears a resemblance to Hollywood films such as those by David Fincher and Martin Scorsese. I’m thinking of something like Scorsese’s adaptation of Dennis Lehane’s Shutter Island (2010). Like that film, Yurigokoro is based on a novel, Nan-Core by the horror/crime writer Numata Mahokaru. It’s common for Japanese features to be based on novels or manga, but there has recently been discussion about a new genre in Japanese popular literature known as iyamisu (eww mystery). This is the kind of mystery novel where the reader involuntarily gasps ‘Eeuw!’ or ‘Ugh’ at a description of something grisly. I try to read examples of contemporary Japanese crime fiction and I would argue that a writer like Kirino Natsuo is linked to this current cycle with her novels Out (1997) and Grotesque (2003). The most notable film based on an iyamisu novel by Minato Kanae was Confessions (Kokuhaku, Japan 2010) – a popular title in the UK. Watching Yurigokoro I was also reminded of the films of Nomura Yoshitaro from the 1950s-1970s which we saw in Bradford a few years back. Finally on the background, I’ll note that Gillian Flynn’s Gone Girl (which became the David Fincher film) was categorised on its publication in Japan as part of the new cycle. But ‘Enough!’ you are shouting. What is Yurigokoro about? You’ll note that there is no English title and that’s because ‘Yurigokoro’ is a made-up word, a child’s mis-hearing of the technical term for her problem. Little Misako is frightened of the world around her and needs something to give her confidence. Tragically it appears to be only death or pain that can give her confidence and as she grows up she becomes involved in a couple of deaths that could be construed as accidents. 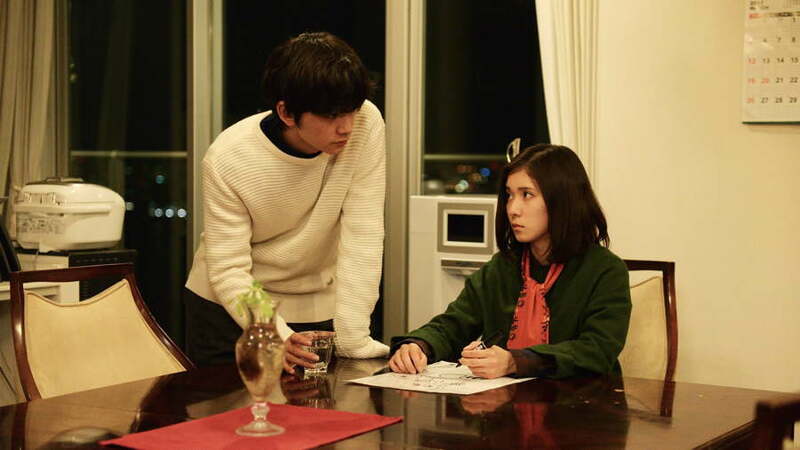 The film’s narrative moves backwards and forwards in time in a nonlinear fashion and as well as Misako we are introduced to a young man, Ryosuke (Matsuzaka Tôri) driving his fiancée to the summer café he has opened in a tourist spot in the forest. Suddenly he accelerates and frightens his partner before slowing down again when he sees her distress. At the café he introduces her to his father Yosuke (Matsuyama Ken’ichi), but a little later she disappears in a mysterious way. Ryosuke is also shocked to discover that his father has terminal cancer. A little later when he visits his father he finds a diary in his father’s room and starts to read it. The first line of the diary includes the statement that “I have never had a problem with killing people” (I don’t remember the exact words). Unlike a shocked but intrigued Ryosuke, we have some inkling who might have written such a line and soon we are back with a now adult Misako (Yoshitaka Yuriko). I won’t spoil the narrative any further but I will say that the violence escalates such that one scene featured so much blood that I think someone in the row behind me fainted (and I, and the woman next to me, watched the scene through our fingers). Sheffield Showroom warned punters at the box office that there were violent scenes (because festival films aren’t certificated). This would be an 18 in the UK – but it is listed as PG-12 in Japan! I noted in the opening credits that the film was distributed by one of the original ‘major studios’ in Japan, Nikkatsu in conjunction with another memorable studio brand Toei. 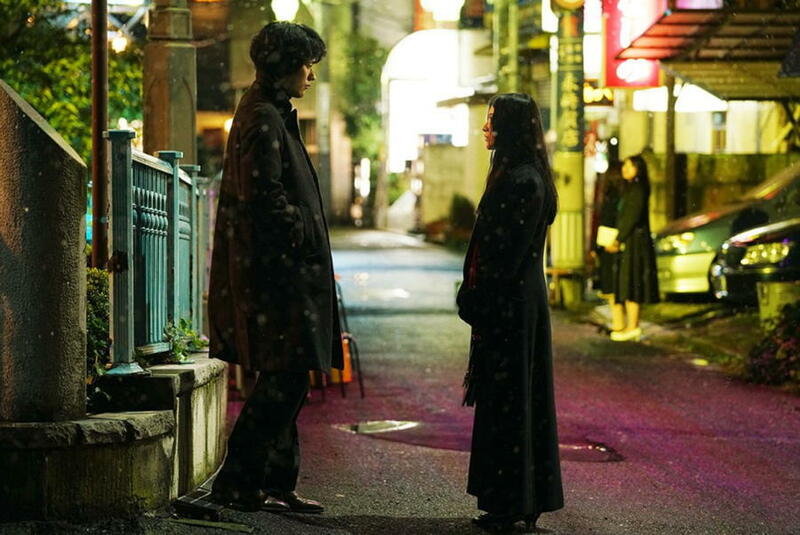 Toei-Nikkatsu appear to have focused on releasing major genre pictures in the last few years. Yurigokoro was released in September 2017 in Japan, making an entry at No. 8 in the chart but only lasting two weeks before disappearing from the Top 20. I suspect that the film earned more from video and streaming services. This seems about right for an adventurous genre movie with an experienced cast and crew. I think director Kumazawa Naoto manages to hold together the different elements in this very complex film very well. He co-wrote the screenplay with the novel’s author. The cinematography by Imamura Keisuke also works well to distinguish the noirish world of Misako with the clean and airy world of Ryosuke. I guess both the make-up artists and Matsuyama Ken’ichi the actor deserve credit for ageing Yosuke so well from flashbacks to the present. Despite the gruesome scenes this was a surprising and rewarding night out at the pictures and shows once again the diversity of films from Japan. I’m always grateful for a chance to see these films from the Japan Foundation. The bento or lunchbox is at the centre of traditional Japanese food culture. The box filled with cold cooked food is something I remember from train trips in Japan way back in 1977, but it seems it is still there in school as the Japanese equivalent of the British ‘packed lunch’. This short (76 minutes) comedy melodrama focuses on a marriage break-up that leaves the salaryman father (Watanabe Toshimi) with the task of providing his daughter Midori (Takeda Rena) with a bento each day. He could send his daughter to the bread shop or use processed foods but he determines to do the job properly, perhaps to prove to himself and others that he can be a ‘proper’ parent. Father (I don’t think he is named) is starting from scratch and his first efforts aren’t very good. Eventually he will get genuinely useful advice from a female colleague at work and he will improve. As his colleague points out, bento for teenage girls needs to be ‘cute’ and to look good. Midori eats her lunch with two friends who are quick to comment on what she is eating. There is only a slight narrative since much of the time is spent on a procedural study of Father’s attempts to shop, prepare and cook lunch for his daughter. The origin of the story is a tweet the ‘real life’ daughter posted at the end of her time at high school (i.e. from age 15 to 17), comparing photos of her father’s first and last attempts to make her daily bento. This went viral and attracted a film producer. Midori at school. What’s in her bento today? Though the narrative says nothing directly about the missing mother, who leaves in the pre-credit sequence, there is a story about the father which is carefully threaded through the main narrative. He confides in both a male and a female colleague at work and he becomes a regular customer of the woman who runs his local greengrocer. (In the current climate in the UK it is quite shocking that all the vegetables father buys are wrapped in plastic.) His bento preparation becomes his way of communicating with his daughter and he discovers that she responds to the messages he puts in with each meal. The main expressive element of the film is the music which unfortunately in the screening was ear-splittingly loud. Some of the more melancholic music was fine but much of it was pop music which at the volume played was unbearable and on one occasion we had a voiceover on top of the music. I think the excess of music possibly shows a lack of faith in the narrative. The film’s credits on IMDb suggest that apart from Takeda Rena as Midori, the rest of the cast and all the crew had little or no previous experience. I was surprised to see that the film was released theatrically in Japan and Taiwan. I would have guessed that it would have been made for TV. Apart from the short length, the shooting style is mainly that of a TV soap with high-key lighting. The image itself also seemed to be rather ‘washed out’ (which meant that the food isn’t as visually striking as it might have been). Having said that, I enjoyed this gentle comedy with its feelgood narrative. As this helpful review comments, Midori doesn’t seem to suffer any kind of stigma at school because of her single parent family (whereas in the 1990s it still seemed to be the cause of social criticism). Food preparation and presentation is very important in Japan and there have been several notable films placing it at the centre of narratives (see, for example, the classic Tampopo (1985). Dad’s Lunchbox is an interesting new genre mix with food, family comedy-drama and high school. Thanks again, Japan Foundation. This is a romantic comedy, but one unlike the Hollywood model. Perhaps it has more in common with something like My Sassy Girl (South Korea 2001) and other East Asian hits? 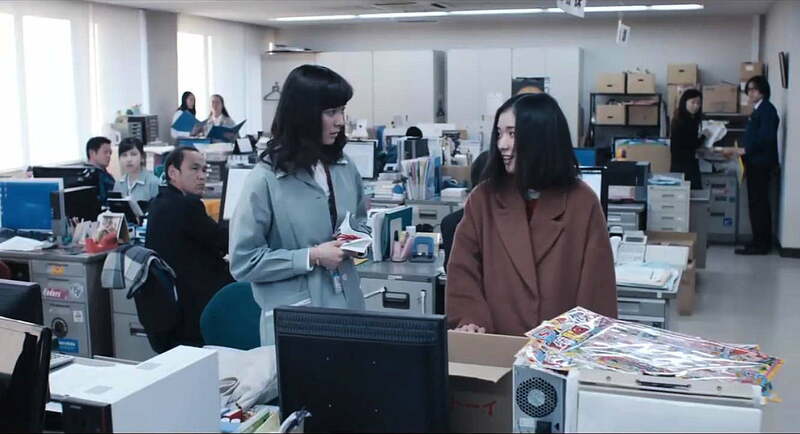 The subtitles suggest that ‘Ms Eto’ (first name Yoshika) is an accounts clerk in a Tokyo office. From what I could see she is actually what would once have been called a ‘computer’- usually a female clerk who tallies bills, receipts etc. It’s not a great job, but you need to be quick and accurate. She’s in her mid twenties and, shock, horror, she’s still a virgin thinking about the ‘prince’ she idolised in high school who she calls ‘No. 1’ (his shortened name is Ichi, which could mean ‘1’). One day she finds herself invited to an after-work drinks party where she is propositioned by a fellow worker who she dubs ‘No. 2’. She decides it is time to act. She must find ‘1’ so she can compare the two possible suitors, otherwise she is lost. Each day Yoshika travels to work along the same route and meets the same characters – her next door neighbour who plays an ocarina, the railway employee at the metro station, a waitress in a coffee shop who wears what appears to be a cosplay outfit, an office cleaner who knits on the bus, an older man fishing and a younger man at the pharmacy/soda shop. Later we will realise that she doesn’t really know these people, she has turned them into her fantasy friends because she is so lonely. Back in her tiny apartment she whiles away the time fascinated by extinct animals. Ichi discovers Yoshika at a party, drawing him as a manga style prince. The narrative provides us with flashbacks to our hero’s schooldays and we see ‘the prince’ how he was then and we’ll be able to compare his current characterisation as Yoshika engineers a situation in which he feels forced to appear. Meanwhile ‘No. 2’ strives manfully to impress. He’s a bit of a klutz but generally well-meaning. But what has Yoshika’s close friend at work told him? Young women in romantic comedies are supposed to have one close friend but Yoshika’s friend seems more like an office acquaintance. The film is adapted from a novel by Wataya Risa and the film is directed by Ohku Akiko, one of the women directing ‘popular’ films in Japan who hasn’t received the same amount of exposure as a festival favourite like Naomi Kawase. This film’s biggest asset is Matsuoka Mayu as Yoshika. Ms Matsuoka has had exposure internationally for the last year as one of the members of the unusual family group in Kore-eda Hirokazu’s Shoplifters. I was very impressed with her performance in that film but it was a ‘supporting role’ and in this 2017 film she is the protagonist and at the centre of every scene. Still only 22 when she played Yoshika she manages to be a convincing 14 year-old in the flashbacks and both an attractive woman and a flummoxed office drone in her pursuit of a suitor (or perhaps just a boyfriend?). Aimed at Japanese females under 30, chick lit on screen generally occasions smiles, yawns and rolling eyes. In this upscale example, experienced genre veteran Akiko Ohku (Tokyo Serendipity, Tokyo Nameless Girl’s Story, Fantastic Girls) directs a comedy about a kooky young lady who can’t decide between a fantasy guy and a real, imperfect boyfriend. Well-made and amusing if overlong at two hours, it is an Asian flavor that should work well at home but would have a hard time getting a foothold beyond. The truisms are that men and everyone over 30 will be bored and rolling eyes – and that comedies like this don’t travel. Ms Young is a well-regarded film journalist and she may be correct about how the film won’t appeal outside Japan. But I enjoyed learning something more about Japanese twenty-somethings and the film didn’t feel too long (actually it’s 117 minutes), partly because of sharp editing. There was a good audience for the film at the Showroom and the two young women on my row seemed to have a very good time with it. There were notes with the screening written by Jasper Short, the well-known scholar, critic and enthusiast for Japanese film. Jasper tells us that the film won the Audience Award at the Tokyo Film Festival and that this got it an ‘in’ to other specialist Asian film festivals in Europe and North America, so perhaps there is hope yet for the UK. As Jasper concludes: “We are ultimately left with a universally touching tale of a young woman inwardly struggling to overcome loneliness, a lowly self-image and the reality behind her dreams.” But as he also suggests: “. . . it goes about its business with such effervescence and fresh-faced honesty that one can’t help but succumb to its charms”. The Japan Foundation tours a group of films each year in the UK. This year there are 18 films with some showings in each of 20 venues. Each venue (click on the image above to see your nearest venues) selects a handful of films from the 18 and since most of the venues are far apart and only show the title once it’s virtually impossible to see all the films. Instead it’s pot-luck which titles are available locally. Still, that’s part of the fun and you often get to see something you might not have chose otherwise- and enjoy it. I hope to get to at least two venues this year after failing to make any last year and feeling that I missed out. 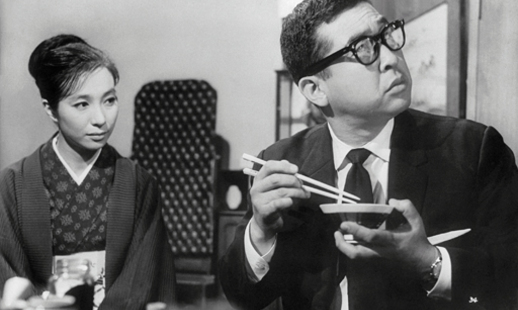 This year the loose theme is ‘People Still Call It Love: Passion, Affection and Destruction in Japanese Cinema’. Most of the films are productions from the last few years, several from 2018. Many are UK premieres. I don’t think any of them have been commercially distributed in the UK. The films include an anime and an archive print, this year it is Where Chimneys Are Seen from 1953. Going solely by title, I’m tempted by Her Love Boils Bathwater. All films are subtitled. There is a programme brochure and notes for each film. You won’t normally get the chance to see films like this, so give it a go! Here’s the trailer for Three Stories of Love, showing in nine venues. The Japanese film industry has been criticised in recent years for not supporting Japanese films overseas and for poor presentation of films to festivals and sales agents. There seems to be some substance to this but as far as archive prints are concerned there are usually prints available from various cultural agencies and it was good to see The Elegant Life of Mr Everyman as part of the Japanese Foundation Tour. The screening was at HOME in Manchester and was introduced by Jonathon Bunt from the University of Manchester. He promised us a good time with the film and some good laughs. He also pointed out that the director Okamoto Kihachi was part of the generation of filmmakers who experienced war service as young men and that this was perhaps an important influence on the film, as well as Okamoto’s approach to satirising the growing materialism of Japan in the early 1960s. The film did indeed provide what was promised. I admit that at this stage I knew nothing about Okamoto and it wasn’t until I’d done some research that I realised I actually owned DVDs of a couple of the director’s films. Okamoto Kihachi is profiled on the Midnight Eye website. Born in 1924 he was conscripted and sent to fight in 1943 aged 19 and experienced the deaths of many of his fellow conscripts (he told an interviewer that young men born in 1924 suffered the highest rate of deaths from the fighting). His battlefield experiences surely informed his approach to action films, including several well-known chanbara or ‘samurai’ films with Mifune Toshiro (e.g. Samurai Assassin in 1964 and Sword of Doom in 1965) which were thought to have changed aspects of the genre, moving away from themes of ‘honour and heroism’ to focus on ‘death and misery’ (as Tom Mes puts it on Midnight Eye). The Elegant Life of Mr Everyman belongs to the part of Okamoto’s output that focused on experimental genre pieces – but it clearly has autobiographical touches too. There were several younger students of Japanese in the audience and I don’t know how many of the jokes and references they got. Okamoto was contracted to Toho and one of the directors for whom he worked in his early career was one of the most celebrated directors of the period, Naruse Mikio. So at one point he refers to a Naruse classic Late Chrysanthemums (1954) and then later to Steve McQueen and Yukio Mishima as celebrities. McQueen was only then in the early part of his career – but perhaps famous in Japan because of The Magnificent Seven? At one point Eburi’s 12 year-old son is watching a TV Western and Okamoto was a big Westerns fan himself. Mishima (1925-70) was a celebrated and controversial Japanese writer and provocateur. The script by Ide Toshiro is very well thought out. Eburi is supposed to have been born in 1926, the first year of the Showa era. This means that he is just old enough to have been conscripted in the final months of the war and he is shown as an incompetent infantryman in training in one of the flashbacks. In other scenes we see him trying to come to terms with the Americanisation of much of Japanese life during the Occupation and its aftermath and, with the advent of economic growth, the beginnings of the consumer society. At 36 it is already clear that he belongs to a different generation than his younger office colleagues. Several reviews describe Eburi as ‘middle-aged’ at 36 – which is probably accurate for an early 1960s attitude! What makes this film particularly interesting for me is that it comes from the period when the Japanese New Wave was beginning to have an impact on the Japanese studios. Okamoto seems to have a singular take on what a film might be. The film also lines up alongside similarly satirical/absurdist films in other New Waves. One UK review I read suggested that Eburi is a figure like Tony Hancock. I can partly see that but my first thought was the satire shows on UK TV in the early 1960s and the writers that came from them such as Marty Feldman or other writers such as Charles Wood (The Knack 1966, How I Won the War 1967). Eburi’s story might be culturally Japanese but it definitely has universal features widely applicable in other film cultures of the 1960s. I’m very pleased to have seen it. I wish now I could find the Noh musical Oh, Bomb which Okamoto made in 1964 – or a subtitled version of his Western East Meets West (1995).